This cupboard unit belongs to our stunning Fearn Range. 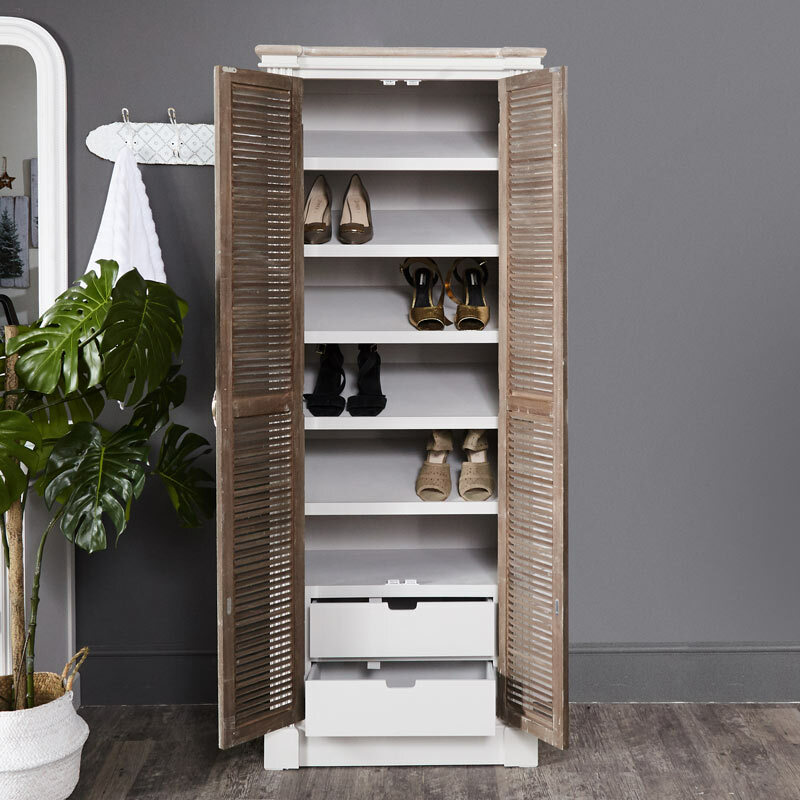 Painted in white with limed wood doors, this is perfect hallway storage, offering space for safely storing all your shoes and boots. A great look for a country style home that offers a timeless look. Ensure all your favourite footwear is kept safe with 6 internal shelves offering plenty of space and the perfect excuse for a shopping spree! The cupboard also comes with 2 drawers for extra storage for any bits and bobs and accessories. 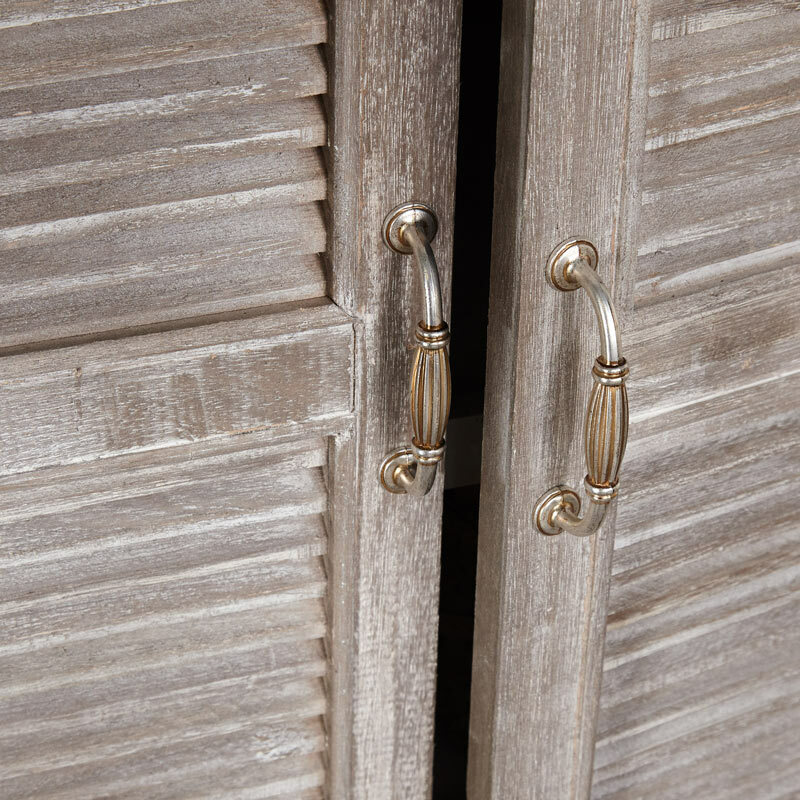 This furniture offers a wonderfully rustic look along with a practical purpose. The Fearn Range is simple but stylish and will offer a great look for your home with this cupboard unit ideal for placing in the hallway or bedroom. This cupboard unit belongs to our stunning Fearn Range. 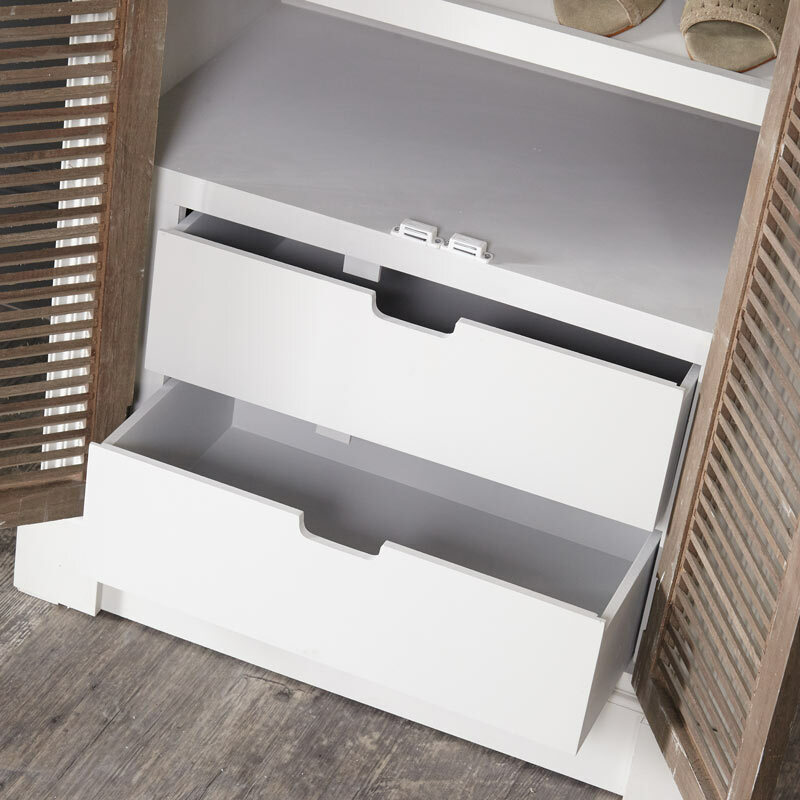 Painted in white with limed wood doors, this is perfect hallway storage, offering space for safely storing all your shoes and boots. A great look for a country style home that offers a timeless look. Ensure all your favourite footwear is kept safe with 6 internal shelves offering plenty of space and the perfect excuse for a shopping spree! The cupboard also comes with 2 drawers for extra storage for any bits and bobs and accessories. This furniture offers a wonderfully rustic look along with a practical purpose. 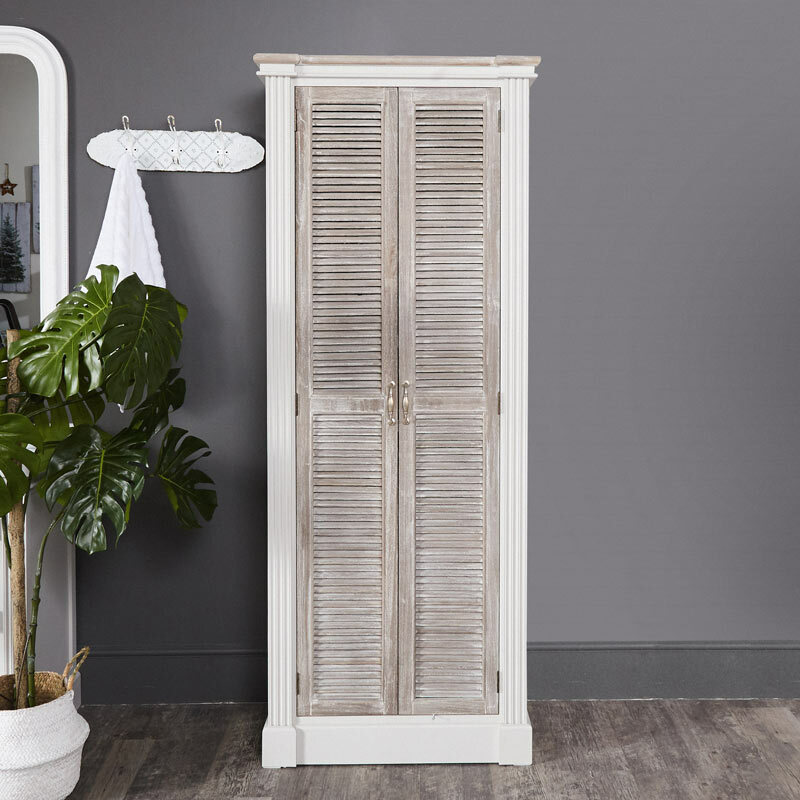 The Fearn Range is simple but stylish and will offer a great look for your home with this cupboard unit ideal for placing in the hallway or bedroom. 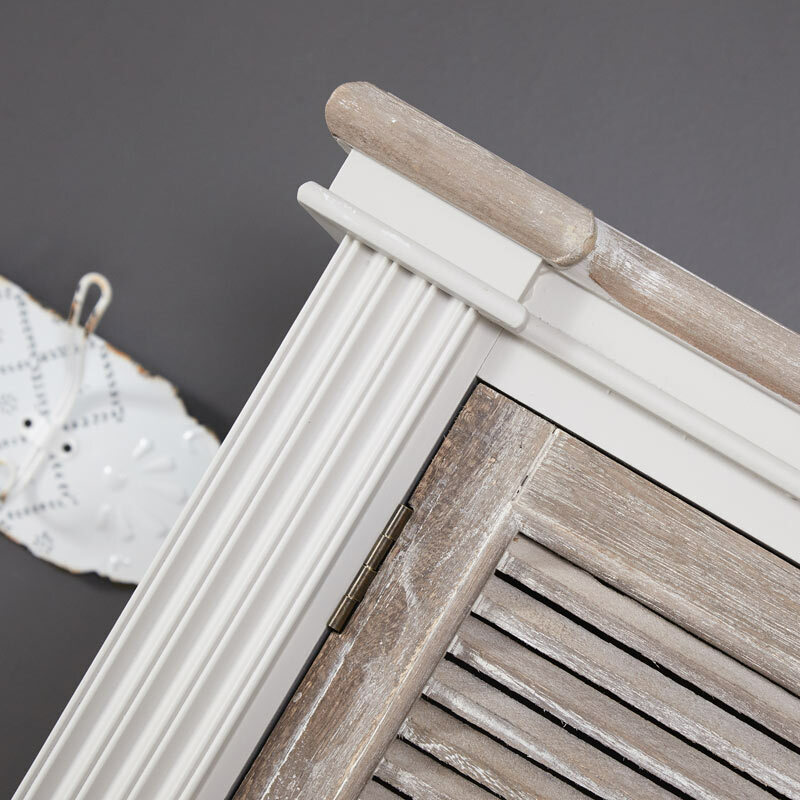 Constructed from wood and painted in a white with distressed finish, the louvred doors come in a natural look with limed finish. The unit comes fully built with no assembly required. We have a fantastic choice in furniture for you to make your house a home. Storage solutions that will help to create all the space saving ideas you need.